This first edition of the FAIRWAY newsletter is just being sent to project partners so that we can test the system and mail lists. If you have any comments or feedback, please contact cjanebolger@gmail.com. Work on FAIRWAY has started in earnest since the kick-off meeting in June. Just a reminder that all the presentations and photos can be downloaded from the FAIRWAY surfdrive. Gerard attended the H2020 Coordinators day on 22 June in Brussels. The Commission made a number of presentations including legal and financial aspects of running a project, reporting and reviews, communication and improving the impact on policy, IPR and data management. The presentations are available on the FAIRWAY surfdrive. 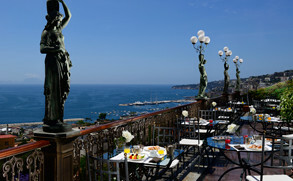 Gianni Quaranta has arranged a fabulous venue for the work package leaders meeting in November at the Grand Hotel Parker in Naples. The agenda will be finalised soon and you will also receive instructions for travelling to the meeting venue. About 40 people have registered to attend. We would like to brighten up the FAIRWAY websites with some beautiful pictures of the different case studies. Could you all collect at least one picture (or more if available) that gives an impression of your case study. You also need to include a document describing the picture(s) and the name of the photographer. Upload the photos and descriptions onto the surfdrive by 1 November. With very best wishes from the FAIRWAY dissemination team.